Tech-Wonders.com » FinTech » Why Should You Invest in Crypto? In modern times the digital currency is the most reliable and newsworthy area of investment. Cryptocurrency has incredible potential; that is why it goes on expanding its growth. Cryptocurrency is the best and the right opportunity for individuals who haven’t yet invested in the digital currency. You should invest in cryptocurrency to get multiple benefits, and there are some compelling and amazing reasons which will accelerate the idea of why you should invest in crypto. There are certain points which will explore the utility, vitality and, credibility of the crypto industry. After knowing these reasons, you will come to know why you should invest in crypto. Cryptocurrency with its revolutionary approach is free from the interruption of any third party such as bank and government. Crypto industry requires no bank or government for transaction and exchange. Crypto industry has total freedom in handling the circulation of its digital assets and financial operations done with Bitcoin. Crypto industry with its advanced technicians brings back the power in the hands of normal people by disrupting the traditional banking system. Crypto industry gives you economic freedom by giving importance to your liberty. Your money stays yours forever with Bitcoin technological supremacy of blockchain. Blockchain with its electronic transaction and technicalities very incredibly encrypts data by preventing access to it from all internal sources at different stages of the transaction. Cryptocurrency offers multi-layer protection to ensure the 100% protection of your assets. The block data is stored in a decentralized manner which means that the information cannot be forged. Digital currency with its inconsistent nature experiences a high level of volatility. In the unpredictable world of digital currency is very comforting to look at a digital currency which received high record across the industry. While investing in other digital currencies, you cannot predict how low it can go, unlike cryptocurrency. Crypto has a pact and advanced technical system with which you cannot drop billions of dollars just in few hours. Integrity and safety are the main reasons which will motivate you to invest in crypto. Security is one of the most important and impressive aspects of the cryptocurrency. Cryptocurrency is a significant liability with unique techniques. Cryptocurrency offers an unprecedented level of privacy with autonomy to do new risk with privacy. Million of dollars in the digital token are stolen daily an average level. Cryptocurrency introduces the new and the most efficient special security measures to avoid the frauds. Cryptocurrency is the most reliable choice to invest because it goes on refining its techniques to protect the holdings against hackers sufficiently. 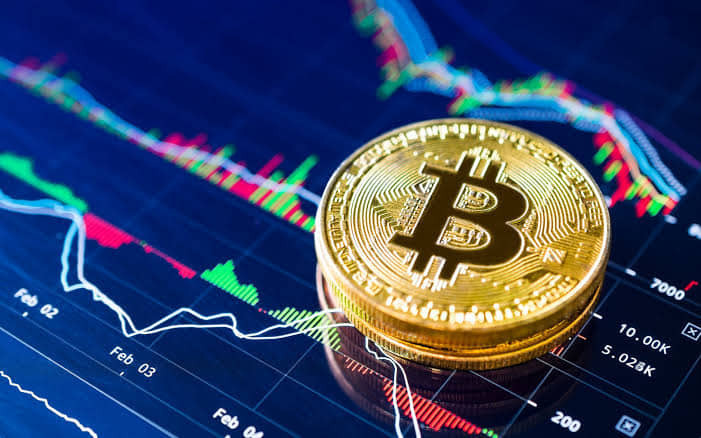 If you want know more about how to go about investing in Bitcoin then we would suggest you to follow Bitcoin Revolution – The Official Site 2019. Thank you for reading the article and let us know if we have missed out on any of your favorite point or if your favorite point is already mentioned above. The article has been created after looking into different views and opinions of experts from all around the globe. This article is not sponsored by any of the brand mentioned above. You’ll also like to read: Investing In Cryptocurrency: Is Bitcoin a Good Investment?